Physiotherapy is a physical therapy prescribed by doctors in order to improve the patient’s mobility and functional abilities. It is beneficial to those patients who cannot be fully cured with the help of medicines. Physiotherapy involves physical exercises that need to be done by patients for relief. The treatment is recommended for patients with orthopedic disorders, fractures, balance problems, or those patients who undergo amputation surgery. It is a most widely recommended treatment for many ailments, and scientifically one of the most trusted ways to heal motor organs. 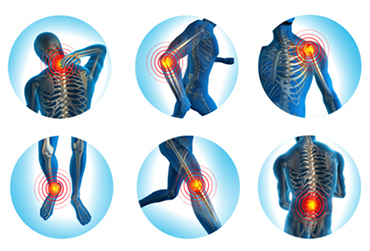 Patients suffering from a lot of pain due to different ailments benefit considerably by undergoing Physiotherapy. The treatment eases the pain, and the patients experience vast improvement in their condition on performing the recommended exercises. The therapy stimulates their organs, reduces pain, and boosts recovery procedure. It benefits a lot of sportsmen who suffer from sports injuries, such as tennis elbow, hamstrings, adductors, etc. Sports persons are exposed to several injuries due to their line of work. They have to risk themselves to bruises, muscle pull, ligament tear, etc. Many injuries which were incurable with medicines or surgeries earlier can be easily cured with the help of Physiotherapy treatments. It has also proven to be beneficial in cases of chronic disorders such as Parkinson’s, heart stroke, multiple sclerosis, etc. It helps the patients by reducing their agony that arises from the ailment, and also gives them strength to slowly the fight and recover from their progressing ailment. Haemophilia is a rare disorder where it is impossible to control the bleeding of the person suffering from the ailment. Physiotherapy is advisable to all patients suffering from Haemophilia as it helps them to recuperate sooner from their injuries. Haemophillia patients are usually advised for a five course program that comprises of protection, rest, ice, compression, and elevation in order to heal faster. It is also of a great help to patients who are not able to perform their day-to-day functions due to problems such as breathlessness, lack of stamina, recurring pain in motor organs, etc. The treatment enhances their stamina and increases their capacity to endure pain, which in turn helps them to perform their daily activities smoothly and efficiently. In short, Physiotherapy is one of the most significant factors which contribute to the health of millions of people across the globe. Fantastic Service Thank you so much for bearing with me and helping me find the best product for my needs. You were right. The Flash Furniture posture chair did the trick in fixing my lower back pain. Delivered as Promised Free shipping. Next day delivery. No damage. Super easy to assemble. What more can a girl ask for? Thank you for your service. Great Product I'm an electrical engineer and because of the nature of my work, it's common for me to sit over 10 hours a day. Having a comfortable seat is a priority for me. Finally after searching for years, I've found an ergonomic product that actually works!